I was happy to see that I was Christa's co-host for her Friday blog hop today! 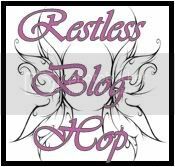 Grab the blog hop button and place it on your blog. It's always welcome to make a post about the hop as well. Create something fun to read for readers to draw to you. Also become a follower of her blog as well. So what are you waiting for? Link up already!!! !